Combines the Grammy-winning PETE CD and download, with a DVD. 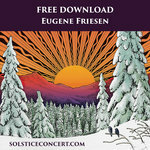 The CD features Pete Seeger, accompanied by a host of friends, and produced by Paul Winter. Originally released in 1997, the album was remastered and re-released in 2014. The DVD includes footage of when Pete came to Cornwall, in the Litchfield Hills of northwest Connecticut, to take part in the Living Music Festival, along with the Consort, vocalist Susan Osborn, and the Brazilian samba band Pe de Boi. This footage is vintage Pete, in the kind of grass-roots context where he felt at home. And it is vintage Consort as well, with the band that made the album Common Ground.The DVD also Includes two bonus features: The "Pete-nic"(17 mins), with Pete and the chorus of singers from his album PETE at a musical picnic at Paul Winter's farm, where the album was recorded; and Pete Seeger solo (5 mins), with Pete singing for the 40th anniversary of "Bloody Sunday," in Goshen CT, March 2005. Pete Seeger’s 1996 release, Pete, was the legendary musician’s first album to win a Grammy®. Co-produced by seven-time Grammy winner Paul Winter (of the Paul Winter Consort), Pete is regarded by many as the last great album from an American icon who shares a place in our history with the likes of Mark Twain, Carl Sandburg, Robert Frost, and Woody Guthrie. Connecticut founded and conducted by Paul Halley, the Gospel Voices of the Union Baptist Church Singers of New Jersey, and the Cathedral Singers from the Cathedral of St. John the Divine in New York City. Guest musicians joining Pete Seeger on the album include Howard Levy, Paul Prestopino, Joanie Madden, David Finck, Gordon Gottlieb, and Paul Winter. instruments of the world. Their collaborative performances at various environmental benefits led Winter to envision the production of an album featuring Pete Seeger’s songs celebrating the Earth. The actual prelude to the recording of Pete, however, was a series of “Living Music Village” sing-ins in 1988 and 1989 at Paul Winter’s barn in northwest Connecticut. Friends came from all over New England to make music with Pete Seeger, and the energy from this shared experience was the catalyst that brought Winter’s vision alive. The following years saw three rounds of recording sessions, and when Pete was finished in 1995, it became the first studio album Pete Seeger had done in 17 years. The DVD portion of the ‘Pete-Pak’ features three historic videos, which, seen in sequence, present a document of the graceful aging of a splendid artist known for his vitality and commitment to the highest standards of liberty, equality and justice, spanning 23 years of the latter part of Pete Seeger’s life. In June of 1982, Paul Winter invited Pete Seeger to headline the Living Music Festival at the Mohawk Mountain Ski Area in Cornwall, Connecticut, along with the Paul Winter Consort, vocalist Susan Osborn,and Brazilian samba band Pe de Boi. This setting was just the kind of grass-roots context where Pete Seeger felt most at home. Paul Winter engaged filmmaker Phil Garvin to capture the event with a three-camera video crew; the tapes then gathered dust for 33 years. After Pete Seeger’s passing in 2014, Winter located Garvin, and luckily he still had the original reels, which were then sent to a videotape restoration facility in Kentucky, and finally to a studio in Connecticut that made the conversion to High Definition digital. 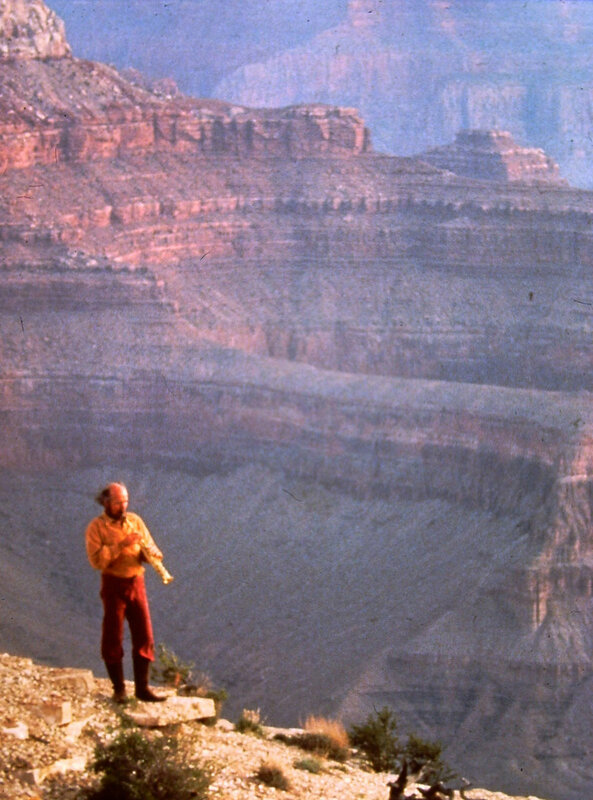 The Pete-Pak also includes a second film, which documents an old-time musical picnic, playfully christened the “Pete-nic,” with Pete Seeger and many of the choral singers who collaborated with him on the Pete album. This event took place in 1997 at Paul Winter's farm, where the album had been recorded. A third short film, by videographer Dan Hofmann, captures a rare performance by Pete Seeger, who at age 85 came to Goshen, Connecticut in March 2005, to sing at a banquet hosted by the Harriet Beecher Stowe Society honoring the 40 th anniversary of “Bloody Sunday,” the 1965 Pettus Bridge March in Selma, Alabama. After Pete received a telegram from Dr. Martin Luther King inviting him to come to that march, he and his wife Toshi traveled to Alabama to march for three days. Recalling those historic days, Pete Seeger sang his song “Take It from Dr. King” at the Goshen event. Included in the Pete-Pak are two booklets. 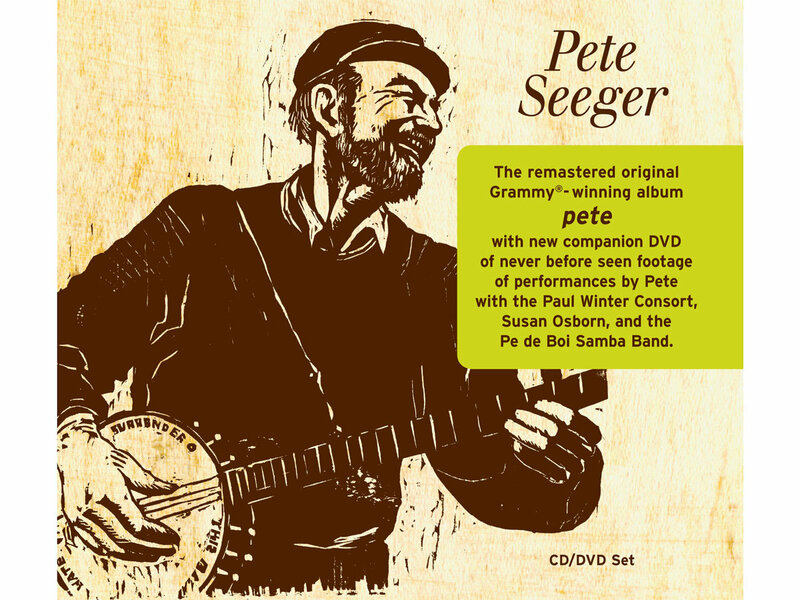 Accompanying the Pete CD is a breezy text taken from several books and articles authored by Pete Seeger himself and from David Dunaway’s 1990 biography of Pete, along with a treasure trove of vintage photos. 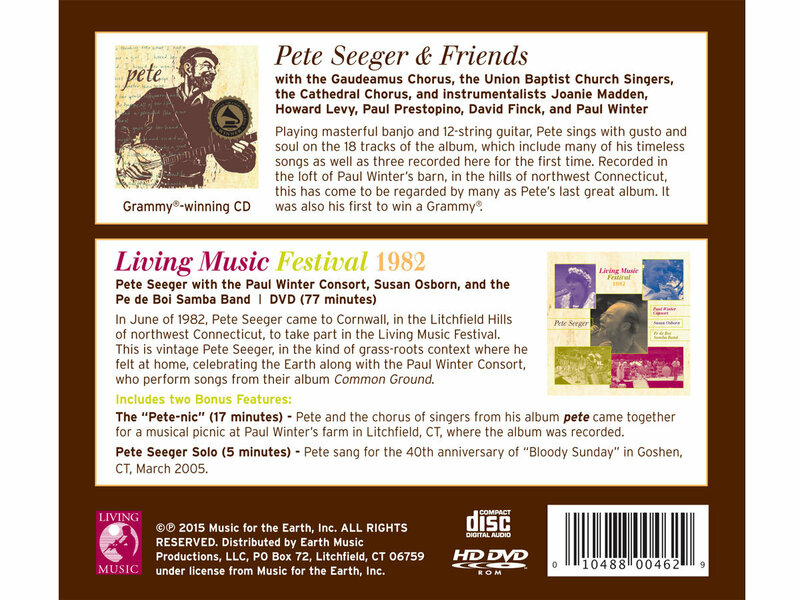 The DVD booklet contains a lengthy article by Paul Winter that presents a first person account of significant times he shared with Pete Seeger dating from 1963 to the 1997 Grammy ceremony and concludes with Garrison Keillor’s introduction of Pete Seeger at the Kennedy Center Awards Gala in 1994. Like its companion booklet, it contains selected Pete Seeger photos. Includes unlimited streaming of Pete via the free Bandcamp app, plus high-quality download in MP3, FLAC and more.